The word culture, from the Latin root colere (to inhabit, to cultivate, or to honor), generally refers to patterns of human activity and the symbolic structures that give such activity significance. Different definitions of "culture" reflect different theoretical orientations for understanding, or criteria for valuing, human activity. Anthropologists most commonly use the term "culture" to refer to the universal human capacity to classify, codify, and communicate their experiences symbolically. Society and culture are similar concepts, but their scopes are different. A society is an interdependent community, while culture is an attribute of a community: The complex web of shifting patterns that link individuals together. Civilization, also, is closely connected to culture, and has often been used almost synonymously with culture. This is because civilization and culture are different aspects of a single entity. Civilization can be viewed as the external manifestation, and culture as the internal character of a society. Thus, civilization is expressed in physical attributes, such as toolmaking, agriculture, technology, and so forth while culture refers to the social standards and norms of behavior, the traditions, values, and religious beliefs and practices that are held in common by members of the society. Culture is also manifest, however, through the arts as well as in the social structures and institutions of the society. Culture is a complex of features held by a social group, which may be as small as a family or a tribe, or as large as a racial or ethnic group, a nation, or in the age of globalization, by people all over the world. Culture has been called "the way of life for an entire society." As such, it includes codes of manners, dress, language, religion, rituals, norms of behavior such as law and morality, and systems of belief. The elements of culture are first adopted by members of the social group, found to be useful, and then transmitted or propagated to others. In this way, culture is both defined by the social activities of the group and also defines the behavior of the members of the society. Culture, however, is not fixed or static; rather, it involves a dynamic process as people respond to changing conditions and challenges. Different definitions of culture reflect different theories for understanding, or criteria for valuing, human activity. Edward Burnett Tylor wrote, in 1871, that "culture or civilization, taken in its wide ethnographic sense, is that complex whole which includes knowledge, belief, art, morals, law, custom, and any other capabilities and habits acquired by man as a member of society." The United Nations agency UNESCO has defined culture as the "set of distinctive spiritual, material, intellectual, and emotional features of society or a social group, and that it encompasses, in addition to art and literature, lifestyles, ways of living together, value systems, traditions and beliefs." Another common way of understanding culture sees it as consisting of three elements: Values, norms, and artifacts. Values comprise ideas about what in life seems important. They guide the rest of the culture. Norms consist of expectations of how people will behave in different situations. Each culture has different methods, or "sanctions," of enforcing its norms. Sanctions vary with the importance of the norm; norms that a society enforces formally have the status of laws. Artifacts—things, or material culture—derive from the culture's values and norms. Julian Huxley gives a slightly different categorization of culture, dividing it into three inter-related subgroups—"mentifacts," "sociofacts," and "artifacts"—standing for ideological, sociological, and technological subsystems respectively. Mentifacts are mental manifestations of culture—different ideas, beliefs, and knowledge and the ways in which these things are expressed in speech or other forms of communication. Socialization depends on the belief subsystem, that is, on mentifacts. The way people interact with each other, and the types of relationship they form, depends greatly on the dominant cultural belief systems. However, at the same time, the sociological subsystem governs interactions between people and influences the formation of mentifacts. That is to say, the quality of human interactions influences the formation of new ideas and beliefs that form cultural mentifacts. Material objects and their use make up the technological subsystem of culture, which is also strongly interconnected with other two subsystems. In the early twentieth century, anthropologists regarded culture not as a set of discrete products or activities (whether material or symbolic), but rather as the underlying patterns that are reflected in those products and activities. Thus, patterns of relationship among people (husband and wife, co-workers in a company, and so on) reflect the social structure of a particular society (social roles). On the other hand, art and myth also reflect patterns from the worldview of a particular society. Both patterns of social structure and patterns of worldview form what characterizes a culture. The symbolic view of culture, the legacy of Clifford Geertz and Victor Turner, holds symbols to be both the practices of social actors and the context that gives such practices meaning. 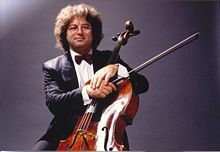 Anthony P. Cohen wrote of the "symbolic gloss" which allows social actors to use common symbols to communicate and understand each other while still imbuing these symbols with personal significance and meanings. Symbols provide the limits of cultured thought. Members of a culture rely on these symbols to frame their thoughts and expressions in intelligible terms. In short, symbols make culture possible, reproducible, and readable. They are the "webs of significance" in Weber's sense that, to quote Pierre Bourdieu, "give regularity, unity and systematicity to the practices of a group." In addition, sociobiological theory argues that observers can best understand many aspects of culture in the light of the concept of the meme, first introduced by Richard Dawkins in his 1976 book, The Selfish Gene. Dawkins has suggested the existence of units of culture—memes—roughly analogous to genes in evolutionary biology. They are the scripts of culture, repeatable, and transferable through imitation of another's actions, through instruction by others through demonstration or through the medium of language, even through reading what was written in detail by others. Although this view has gained some popular currency, anthropologists have generally rejected it. Finally, Kluckhohn suggested that "Culture is to society what memory is to individuals." Thus, culture can be viewed as the collection of information, experiences, ideas, and so forth that were found useful, widely adopted, and considered worth transmitting to future generations. One of the main questions in measuring cultural development has always been in which norms can that development be measured. There are more than 6,000 communities in the world, and as many different languages. 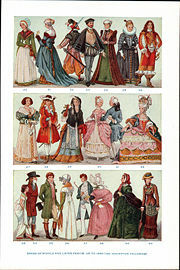 Such diversity naturally led toward the development of different beliefs, values, practices, and visions that each of those communities possess, and consequently toward different expressions of those values and beliefs—through the development of material, tangible things: Arts, crafts, architecture, means of transportation, and so forth. Models of cultural development produced until the 1970s frequently measured cultural development exclusively in terms of material, tangible development—number and quality of housing, industrial development, visible arts, and so forth. 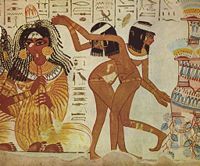 As a consequence of an application of those models, Western cultures were seen as more advanced, while all others were regarded as more primitive. Modern developmental models go beyond mere economic growth. UNESCO today in the definition of culture includes means of achievement of satisfactory intellectual, emotional, moral, and spiritual existence. Cultural development is thus not measured only by the development of material tangibles (although those are considered important parts of it), but also by the lifestyles, ways of living together, value systems, traditions and beliefs that certain culture produces. As a rule, archaeologists focus on material culture whereas cultural anthropologists focus on symbolic culture, although ultimately both groups maintain interests in the relationships between these two dimensions. Moreover, anthropologists understand "culture" to refer not only to material, consumption goods, but to the general processes which produce such goods and give them meaning, and to the social relationships and practices in which such objects and processes become embedded. 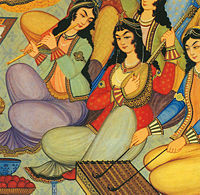 Painting of Persian women musicians from Hasht-Behesht Palace ("Palace of the 8 heavens"). The values and history of the Jewish people are a major part of the foundation of other Abrahamic religions such as Christianity, Islam, as well as the Bahá'í Faith. However, while sharing a heritage from Abraham, each has distinct traditions in the arts. Some of these also include are regional influences, but there are several norms or forms of cultural expression that are particular to these religions. Christianity was the dominant feature in shaping modern European and the New World cultures. Modern philosophical thought has very much been influenced by Christian philosophers such as St. Thomas Aquinas and Erasmus and Christian cathedrals like Notre Dame de Paris, Wells Cathedral, and Mexico City Metropolitan Cathedral have been noted as architectural wonders. Islam's influence has dominated much of the North African, Middle, and Far East regions for 1500 years, sometimes mixed with other religions. For example Islam's influence can be seen in diverse philosophies such as Ibn Bajjah, Ibn Tufail, Ibn Khaldun, and Averroes as well as poetic stories and literature like Hayy ibn Yaqdhan, The Madman of Layla, The Conference of the Birds, and the Masnavi in addition to art and architecture such as the Umayyad Mosque, Dome of the Rock, Faisal Mosque, Hagia Sophia (which has been both a cathedral and a mosque), and the many styles of Arabesque. Philosophy and religion are often closely interwoven in Eastern thought. Many Asian religious and philosophical traditions originated in India and China and spread across Asia through cultural diffusion and the migration of peoples. Hinduism is the wellspring of Buddhism, the Mahāyāna branch of which spread north and eastwards from India into Tibet, China, Mongolia, Japan, and Korea, and south from China into Vietnam. Theravāda Buddhism spread throughout Southeast Asia, including Sri Lanka, parts of southwest China, Cambodia, Laos, Myanmar, and Thailand. Hindu philosophy from India contains elements of non-material pursuits, whereas another school of thought from India, Carvaka, preached the enjoyment of material world. Confucianism and Taoism, both of which originated in China have had pervasive influence on both religious and philosophical traditions, as well as statecraft and the arts throughout Asia. Folk religions practiced by tribal groups are common in Asia, Africa, and the Americas. Their influence can be considerable; may pervade the culture and even become the state religion, as with Shintoism. 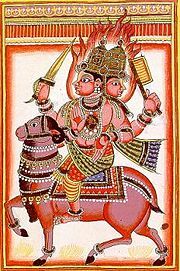 Like the other major religions, folk religion answers human needs for reassurance in times of trouble, healing, averting misfortune, and providing rituals that address the major passages and transitions in human life. The term "civilization" has been used almost synonymously with culture. This is because civilization and culture are different aspects of a single entity. Civilization can be viewed as the external manifestation, and culture as the internal character of a society. Thus, civilization is expressed in physical attributes, such as toolmaking, agriculture, buildings, technology, urban planning, social structure, social institutions, and so forth. Culture, on the other hand, refers to the social standards and norms of behavior, the traditions, values, ethics, morality, and religious beliefs and practices that are held in common by members of the society. Many people today use a conception of "culture" that developed in Europe during the eighteenth and early nineteenth centuries. This view of culture reflected inequalities within European societies, and between European powers and their colonies around the world. It identifies "culture" with "civilization." According to this thinking, one can classify some countries as more "civilized" than others, and some people as more "cultured" than others. Theorists like Matthew Arnold and F.R. Leavis have regarded culture as simply the result of "the best that has been thought and said in the world (Arnold, 1960, p. 6), thus labeling anything that doesn't fit into this category as uncivilized. On this account, culture links closely with social "cultivation"—the progressive refinement of human behavior. 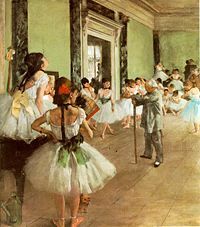 In practice, however, culture has often referred to elite activities and goods, such as haute cuisine, high fashion, museum-caliber art, and European classical music. The word "cultured" described people who knew about, and took part in, these activities. For example, someone who used "culture" in the sense of "cultivation" might argue that European classical music is more refined than music produced by working-class people such as punk rock, or than the indigenous musical traditions of aboriginal peoples of, for example, Australia. People who use "culture" in this way tend not to use it in the plural as "cultures." They do not believe that distinct cultures exist, each with their own internal logic or values, but rather that only a single standard of refinement suffices, against which one can measure all groups. Thus, in this view, people with different customs from those who regard themselves as cultured are not considered as "having a different culture," but rather as as "uncultured." People lacking "culture" often seemed more "natural," and observers often defended (or criticized) elements of high culture for repressing human nature. From the eighteenth century onwards, some social critics have accepted this contrast between cultured and uncultured, but have stressed the interpretation of refinement and of sophistication as corrupting and unnatural developments which obscure and distort people's essential nature. On this account, folk music (as produced by working-class people) is seen as honestly expressing a natural way of life, and classical music is regarded as superficial and decadent. Equally, this view often portrays non-Western people as "noble savages," living authentic, unblemished lives, uncomplicated and uncorrupted by the highly-stratified capitalist systems of western culture. By the end of the twentieth century, most social scientists rejected the monadic conception of culture, and the opposition of culture (nurture) to innate nature. They recognized all groups as cultured, just cultured in a different way. Thus, social observers contrasted the "high culture" of the élite to the "popular culture" or "pop culture"—goods and activities produced for, and consumed by, the masses. During the Romantic era, scholars in Germany, especially those concerned with nationalist movements—such as the nationalist struggle to unite "Germany" out of numerous smaller entities, and the nationalist struggles by ethnic minorities against the Austro-Hungarian Empire—developed a more inclusive notion of culture as "worldview." In this mode of thought, a distinct and incommensurable worldview characterizes each ethnic group. Although more inclusive than earlier views, this approach to culture still allowed for distinctions between "civilized" and "primitive" or "tribal" cultures. By the late nineteenth century, anthropologists had adopted and adapted the term "culture" to a broader definition that they could apply to a wider variety of societies. Attentive to the theory of evolution, they assumed that all human beings evolved equally, and that the fact that all humans have cultures must in some way result from human evolution. They also started to use biological evolution to explain differences between specific cultures—an approach that either exemplified a form of, or legitimized forms of, racism. They believed that biological evolution would produce a most inclusive notion of culture, a concept that anthropologists could apply equally to non-literate and to literate societies, or to nomadic and to sedentary societies. They argued that through the course of their evolution, human beings evolved a universal human capacity to classify experiences, and to encode and communicate them symbolically. Since human individuals learned and taught these symbolic systems, the systems began to develop independently of biological evolution (in other words, one human being can learn a belief, value, or way of doing something from another, even if the two humans do not share a biological relationship). That this capacity for symbolic thinking and social learning stems from human evolution confounds older arguments about nature versus nurture. Thus, Clifford Geertz has argued that human physiology and neurology developed in conjunction with the first cultural activities, and Middleton concluded that "human instincts were culturally formed." People living apart from one another develop unique cultures, but elements of different cultures can easily spread from one group of people to another. Culture changes dynamically and people teach and learn culture, making it a potentially rapid form of adaptation to change in physical conditions. Anthropologists view culture as not only as a product of biological evolution, but as a supplement to it, as the main means of human adaptation to the world. This view of culture as a symbolic system with adaptive functions, and one which varies from place to place, led anthropologists to conceive of different cultures as defined by distinct patterns (or structures) of enduring, arbitrary, conventional sets of meaning, which took concrete form in a variety of artifacts such as myths, rituals, tools, the design of housing, the planning of villages, and so on. Anthropologists thus distinguish between "material culture" and "symbolic culture," not only because each reflects different kinds of human activity, but also because they constitute different kinds of data that require different methodologies. This view of culture, which came to dominate between World War I and World War II, implied that each culture had bounds and demanded interpretation as a whole, on its own terms. This resulted in a belief in "cultural relativism:" The belief that one had to understand an individual's actions in terms of his or her culture, or that one had to understand a specific cultural artifact or a ritual in terms of the larger symbolic system of which it forms a part. 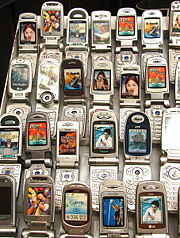 Cell phones on display in a store. Cultural studies developed in the late twentieth century, in part through the re-introduction of Marxist thought into sociology, and in part through the process of articulation of sociology and other academic disciplines, such as literary criticism. The cultural studies movement aimed to focus on the analysis of subcultures in industrial or capitalist societies. 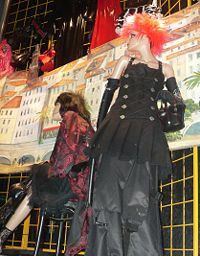 This movement generally focused on the study of consumption goods (such as fashion, art, and literature). However, because the eighteenth and nineteenth century distinction between "high" and "low" culture seemed inappropriate to apply to the mass-produced and mass-marketed consumption goods which cultural studies analyzes, these scholars used instead the term "popular culture." Historically, in the case of smaller societies, in which people merely fell into categories of age, gender, household, and descent group, anthropologists believed that people more or less shared the same set of values and conventions. People in such societies remained strongly connected to their common culture. In the case of larger societies, in which people undergo further categorization by region, race, ethnicity, and social class, anthropologists came to believe that members of the same society often had highly contrasting values and conventions. Thus, they used the term "subculture" to identify the cultures of parts of larger societies. Large societies often have subcultures, or groups of people with distinct sets of behavior and beliefs that differentiate them from a larger culture of which they are a part. The subculture may be distinctive because of the age of its members, or by their race, ethnicity, social class, or gender. The qualities that determine a subculture as distinct may be aesthetic, religious, occupational, political, sexual, or a combination of these factors. The way nation states treat immigrant cultures rarely falls neatly into one or another of the above approaches. The degree of difference with the host culture, their "foreignness," the number of immigrants, attitudes of the resident population, the type of government policies that are enacted, and the effectiveness of those policies all make it difficult to generalize about the effects. Similarly with other subcultures within a society, attitudes of the mainstream population and communications between various cultural groups play a major role in determining outcomes. 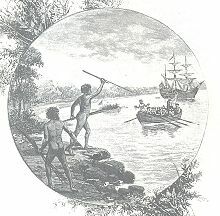 A nineteenth century engraving showing Australian "natives" opposing the arrival of Captain James Cook in 1770. When it comes to change, cultures both embrace and resist change. For example, the role of women in Western cultures faced serious challenges in the twentieth century, and changes were at first met with great resistance. However, once the changes had been implemented, many non-Western cultures wanted to embrace the positive aspects of this change into their own cultures. Thus, there are both dynamic influences that encourage acceptance of new things, and conservative forces that resist change. Cultural change can come about due to the environment, to inventions (and other internal influences), and to contact with other cultures. For example, the end of the last ice age witnessed the invention of agriculture, which in turn brought about many cultural innovations (such as new rituals and customs that were agriculture-centered), that further changed how people related to nature and, ultimately, to each other. Additionally, the fact that culture comprises symbolical codes and can thus pass via teaching from one person to another means that cultures, although bounded, can and do change through social interaction. Cultural change can result from invention and innovation, or from contact between two cultures through acculturation. Under peaceful conditions, contact between two cultures can lead to people learning from one another ("diffusion" or "transculturation"). Under conditions of violence or political inequality, however, people of one society "steal" cultural artifacts from another, or impose cultural artifacts on another. The spread of culture and language in human populations can be explained by two models—the culture diffusion model and the demic diffusion model. Culture diffusion connotes spreading of one or more cultural traits (customs, ideas, attitudes) from a central point outward, usually from one culture to its neighboring cultures. The pace of the change in this case is slow, gradual, and limited. "Stimulus diffusion" refers to an element of one culture leading to an invention in another. For example, after seeing English writing system in 1821, Sequoyah developed the unique Cherokee writing system. All human societies have participated in the processes of diffusion, transculturation, and acculturation, and few anthropologists today see cultures as completely bounded. Modern anthropologists argue that instead of understanding cultural artifact in terms of its own culture, one needs to understand it in terms of a broader history involving contact and relations with other cultures. Beside the culture diffusion model, which explains some limited change inside a culture, the demic diffusion model refers to a mass movement of people from one geographical area to another (and usually from one cultural sphere to another), which brings rather rapid and sudden change to the area where people migrated. Migration on a major scale has characterized the world, particularly since the days of Columbus. Phenomena such as colonialism and forced migrations through, for example, slavery became prominent. Acculturation has different meanings, but in this context refers to replacement of the traits of one's culture of origin, with those of another, usually dominant culture in the place where one lives. Such happened to certain Native American tribes and to many indigenous peoples across the globe during the process of colonization. The process of acculturation is common among immigrants from one country to another, where an immigrant adapts to the new culture by replacing one or more cultural traits from his own culture with traits from the new culture. The final stage of acculturation is assimilation—the total absorption of an individual or minority group into another culture, what is often accelerated by intermarriage and by deemphasizing cultural differences. A related term to acculturation is transculturation, which refers to the situation when an individual moves to a new culture and adopts it. As a result, many societies have become culturally heterogeneous. Some anthropologists have argued, nevertheless, that some unifying cultural system bound heterogeneous societies, and that it offers advantages to understand heterogeneous elements as subcultures. Others have argued that no unifying or coordinating cultural system exists, and that one must understand heterogeneous elements together as forming a multicultural society. Many regional cultures have been influenced by contact with others, such as by colonization, trade, migration, mass media, and religion. Yet, regions, mostly defined by continents, still retain unique histories and, to some extent, distinct cultural identities. 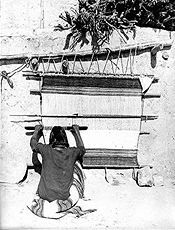 Hopi man weaving on traditional loom in the U.S. The culture of the Americas has been influenced by indigenous peoples of the Americas. The immigration of Europeans, especially Spanish, English, French, Portuguese, German, Irish, Italian, and Dutch has had the strongest impact, however, bringing European (or "Western") cultural influences together with Judeo-Christian beliefs and values. Additionally, people from Africa, many brought as slaves, have impacted American culture in numerous ways. Despite the great cultural diversity of Asian nations, there are, nevertheless, several transnational cultural influences. 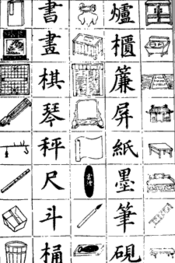 Though Korea, Japan, and Vietnam are not Chinese-speaking countries, their languages have been influenced by Chinese and Chinese writing. Thus, in East Asia, Chinese writing is generally agreed to exert a unifying influence. Religions, especially Buddhism and Taoism have had an impact on the cultural traditions of East Asian countries. There is also a shared social and moral philosophy that derives from Confucianism. European culture also has a broad influence beyond the continent of Europe due to the legacy of colonialism. In this broader sense it is sometimes referred to as "Western culture." This is most easily seen in the spread of the English language and to a lesser extent, a few other European languages. Dominant influences include ancient Greece, ancient Rome, and Christianity, although the legacy of pre-Christian pagan beliefs and worldview (such as the Celts) is still evident in many parts. The Middle East generally has three dominant and clear cultures, Arabic, Persian, and Turkish, which have influenced each other with varying degrees during different times. The region is predominantly Muslim although significant minorities of Christians and smaller minorities of other religions exist. Arabic culture has deeply influenced the Persian and Turkish cultures through Islam; influencing their languages, writing systems, art, architecture, and literature, as well as in other areas. The proximity of Iran has influenced the regions closer to it such as Iraq and Turkey, traces of language can be found in the Iraqi and Kuwaiti dialects of Arabic as well as the Turkish language. The 500 years of Ottoman rule over most of the Middle East has had a heavy influence over the Arabic culture, this may spread as far as Algeria but can be found to a heavier degree in Egypt, Iraq and the Levant. Most of the countries of the Pacific Ocean continue to be dominated by their indigenous cultures, although these have generally been affected by contact with European culture. In particular, most of Polynesia is now strongly Christian. Other countries, such as Australia and New Zealand have been dominated by white settlers and their descendants, whose culture now predominates. However, Indigenous Australian and Māori (New Zealand) cultures are still present. Insofar as culture grows and changes naturally within human society, it requires little or no formal propagation. Family or age-based peer groups will instinctively foster (and develop) their own cultural norms (that are often very similar to the major culture), on that way preserving and propagating culture. However, few cultures act in such a laissez faire manner. Most societies develop some sort of "ideology" or similar basis for inculcating and preserving established or "correct" cultural behavior. Many societies take the task of education out of the hands of priests and parents and place it on a wider footing, so that the young gain a practical and emotional identification with a standardized version of their nurturing culture. ↑ D. Jary and J. Jary, The HarperCollins Dictionary of Sociology (1991), p. 101. ↑ Edward Burnett Tylor, Primitive Culture: Researches into the Development of Mythology, Philosophy, Religion, Language, Art, and Custom (Gordon Press, 1976, ISBN 087968464X). ↑ UNESCO, Universal Declaration on Cultural Diversity. Retrieved October 14, 2007. ↑ Dictionary of Modern Sociology, Culture. Retrieved October 14, 2007. ↑ fog.ccsf.cc.ca.us, Definitions of culture. Retrieved October 14, 2007. ↑ A.P. Cohen, The Symbolic Construction of Community (New York: Routledge, 1985, ISBN 0415046165). ↑ Pierre Bourdieu, Outline of a Theory of Practice (Cambridge University Press, 1977, ISBN 052129164X). ↑ Alfred L. Kroeber and Clyde Kluckhohn, Culture: A Critical Review of Concepts and Definitions (Cambridge, MA: Peabody Museum, 1952). ↑ C. Clyde Kluckhohn, "Culture and behavior," in Handbook of Social Psychology, G. Lindzey (ed.) (Cambridge, MA: Addison-Wesley, 1954). ↑ R. Middleton, Studying Popular Music (Philadelphia: Open University Press, 1990, ISBN 0335152759), p. 17. ↑ D. O'Neil, Processes of Change. Retrieved November 1, 2007. Arnold, M. 1882. University of Toronto Library Culture and Anarchy. New York: Macmillan and Co. Retrieved October 22, 2007. Bourdieu, P. 1977. Outline of a Theory of Practice (Cambridge Studies in Social and Cultural Anthropology). Cambridge University Press. ISBN 052129164X. Cohen, A.P. 1985. The Symbolic Construction of Community. New York: Routledge. ISBN 0415046165. Dawkins, Richard. 1976. The Selfish Gene. Geertz, C. 2000. The Interpretation of Cultures: Selected Essays. Basic Books. ISBN 0465097197. Hoult, T.F. 1969. Dictionary of Modern Sociology. Totowa, NJ: Littlefield, Adams & Co.
Kluckhohn, C. 1954. "Culture and behavior." In Handbook of Social Psychology. Cambridge, MA: Addison-Wesley. Kroeber, A.L., and C. Kluckhohn. 1952. Culture: A Critical Review of Concepts and Definitions. Cambridge, MA: Peabody Museum. Middleton, R. 1990. Studying Popular Music. Philadelphia: Open University Press. ISBN 0335152759. Palomar College. Cultural Anthropology Tutorials. Behavioral Sciences Department. Retrieved November 1, 2007. Turner, Victor W. 1975. Dramas, Fields, and Metaphors: Symbolic Action in Human Society (Symbol, Myth, & Ritual). Cornell, NY: Cornell University Press. ISBN 0801491517. Tylor, Edward B. 1976. Primitive Culture: Researches into the Development of Mythology, Philosophy, Religion, Language, Art, and Custom. Gordon Press. ISBN 087968464X. UNESCO. UNESCO Universal Declaration on Cultural Diversity. Retrieved October 22, 2007. This page was last modified on 21 July 2013, at 16:19.